TECHTIGER Email Marketing tracks how many subscribers open each campaign and, how many clicked on links within the sent email. Have TECHTIGER provide ongoing support, or take control yourself with the easy to use drag-and-drop campaign editing interface. 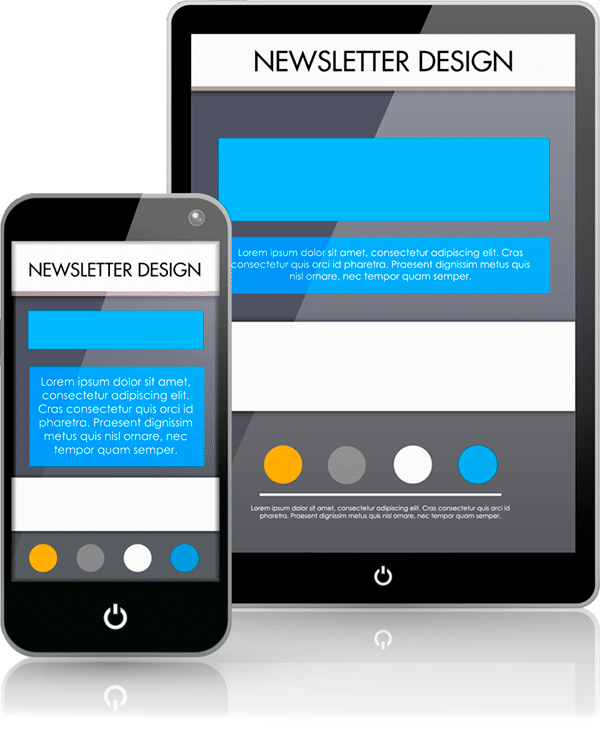 Email campaigns are designed to display correctly on desktop, laptop, smartphone and tablet devices. Learn what customers are buying and modify your campaigns accordingly. Automate back-in-stock emails through eCommerce integration. Target customers based on previous purchasing decisions and behaviour. Send more applicable campaigns to separate subscriber lists. Synchronise data from Facebook and Twitter. Capture purchase information and pass the data back to your email marketing software. Research suggests that a higher percentage of emails get opened on Tuesdays and Thursdays, while Saturdays and Sundays see the lowest open rate. The best time of the day to send emails is between 9am and 12pm. Sending between 1pm to 5pm is also OK. However, open rates significantly decline after 9pm. Balance your links with good content. 7 to 10 words per link is good a good count for optimum engagement. Be friendly and personable when you word your content. Write as if you’re emailing a friend instead of a group of subscribers. It’s better to send a campaign using your actual name and email address, instead of using a generic business name and account. By using your name, you are putting your reputation on the line and being more personal as a result. Talk to TECHTIGER about how Email Marketing Perth can work for your business.